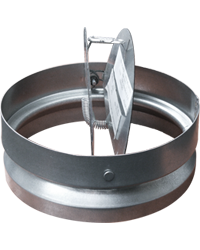 Ceiling radiation dampers are used to provide the required fire and heat radiation protection for HVAC penetrations of floor ceiling and roof-ceiling assemblies having a restrained or unrestrained assembly fire resistance ratings of 2 hour or less, in accordance with UL263. 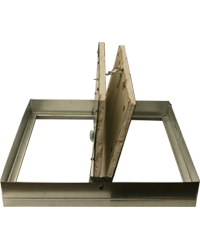 Standard fire dampers (1½ hr. and 3 hr.) do not provide the necessary heat radiation protection that is obtained by using ceiling radiation dampers. 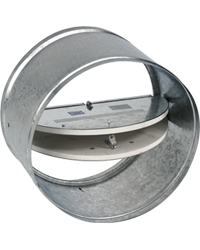 Ceiling radiation dampers are also called ceiling fire dampers, radiation dampers, and radiation shields.